Informationen zum Autor Anne-Marie Oomen is chair of the Creative Writing Department at Interlochen Art Academy. Klappentext Pulling Down the Barn eloquently recalls author Anne-Marie Oomen's personal journey as she discovers herself an outsider on her family farm located in western Michigan's Oceana County, in the township of Elbridge-a couple hundred acres in the middle of rural America. 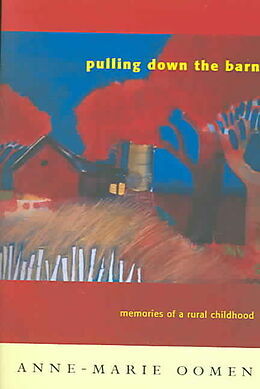 Written as a series of heartfelt interlocking narratives, this collection of essays portrays the realities of farm life: haying, picking asparagus and cherries, the machinery of tractors and pickers; but each chapter also touches upon the more ethereal and rarely articulated: the stoic love that permeates a family, the farmer's struggle with identity, and the way land can shape a childhood. With its rich language and style, Pulling Down the Barn engrosses the reader in Oomen's memories-setting beauty and wonder against work and loss-and paints a poignant portrait of growing up in rural Michigan. Zusammenfassung Recalls author Anne-Marie Oomen's personal journey as she discovers herself an outsider on her family farm located in western Michigan's Oceana County, in the township of Elbridge - a couple hundred acres in the middle of rural America. Anne-Marie Oomen is chair of the Creative Writing Department at Interlochen Art Academy. Pulling Down the Barn eloquently recalls author Anne-Marie Oomen's personal journey as she discovers herself an outsider on her family farm located in western Michigan's Oceana County, in the township of Elbridge-a couple hundred acres in the middle of rural America. 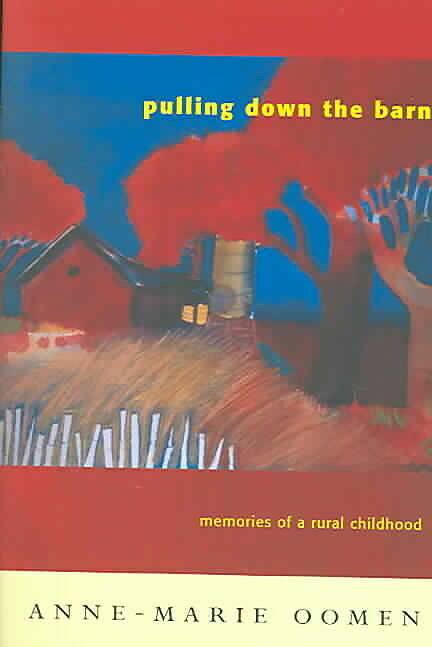 Written as a series of heartfelt interlocking narratives, this collection of essays portrays the realities of farm life: haying, picking asparagus and cherries, the machinery of tractors and pickers; but each chapter also touches upon the more ethereal and rarely articulated: the stoic love that permeates a family, the farmer's struggle with identity, and the way land can shape a childhood. With its rich language and style, Pulling Down the Barn engrosses the reader in Oomen's memories-setting beauty and wonder against work and loss-and paints a poignant portrait of growing up in rural Michigan. Recalls author Anne-Marie Oomen's personal journey as she discovers herself an outsider on her family farm located in western Michigan's Oceana County, in the township of Elbridge - a couple hundred acres in the middle of rural America.